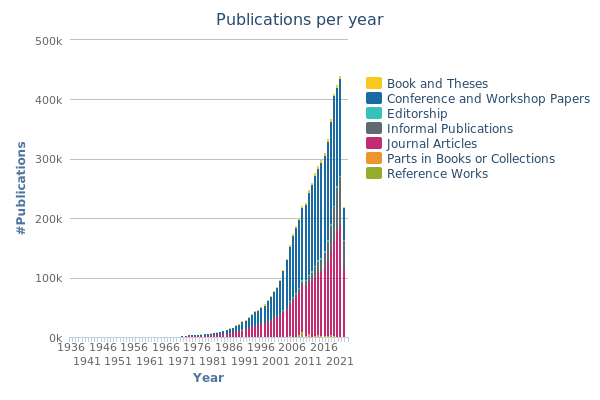 The dblp computer science bibliography provides open bibliographic information on major computer science journals and proceedings. Originally created at the University of Trier in 1993, dblp is now operated and further developed by Schloss Dagstuhl. For more information check out our F.A.Q.